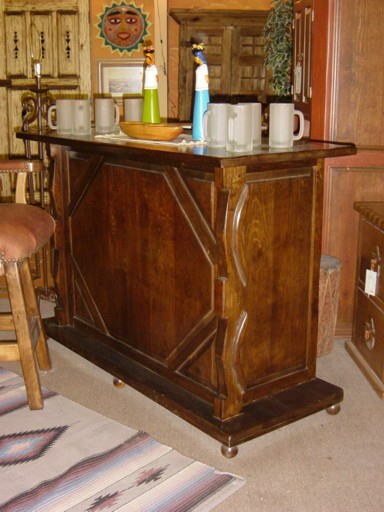 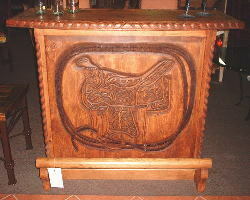 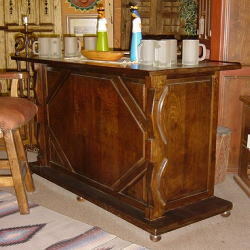 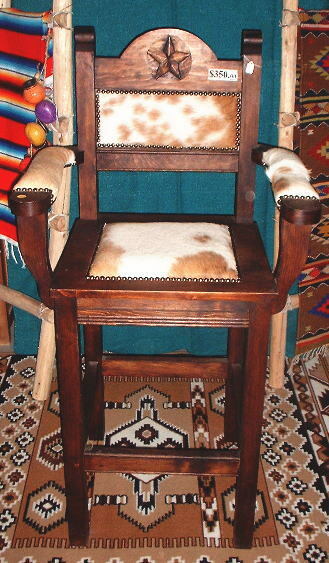 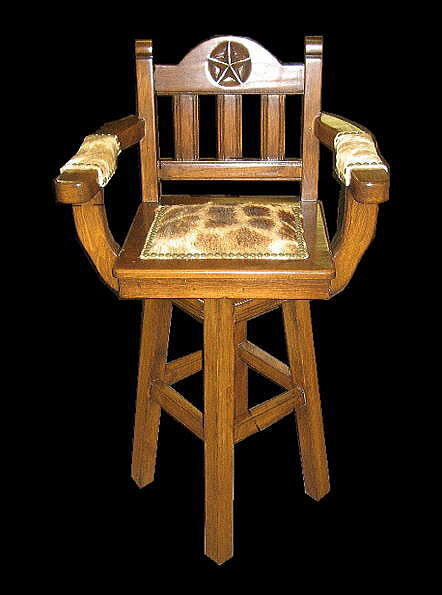 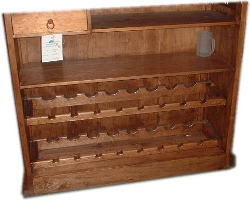 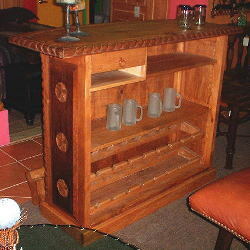 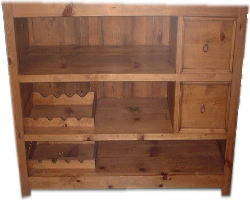 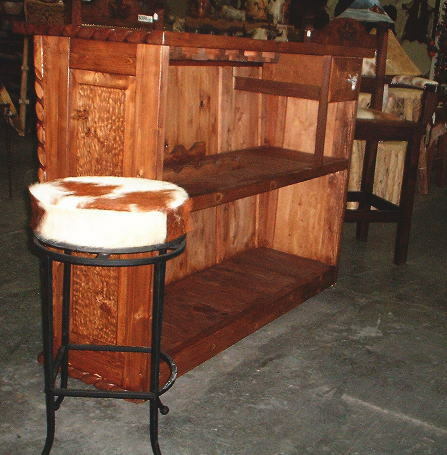 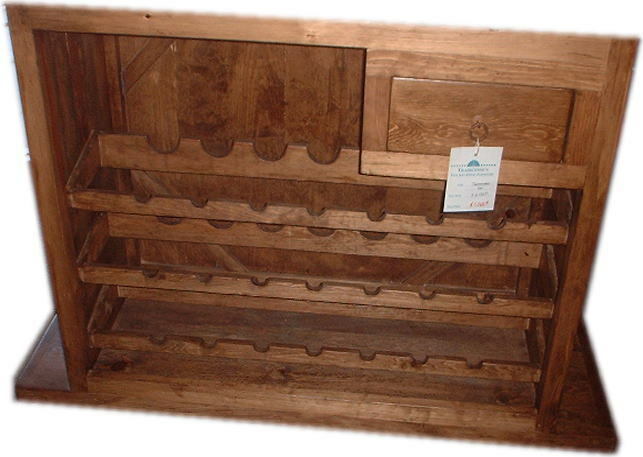 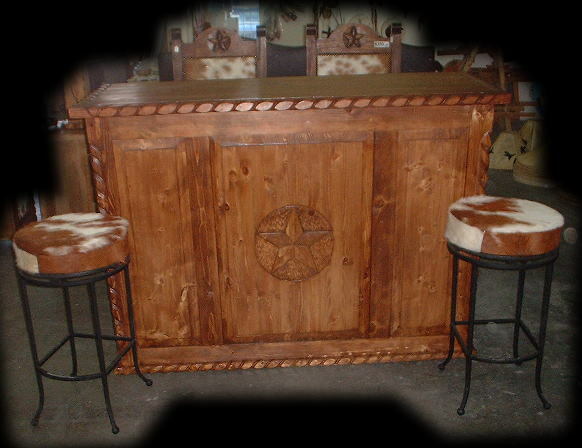 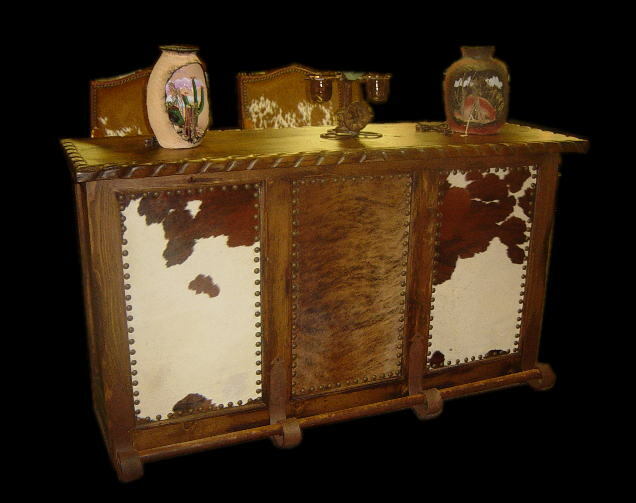 Custom southwestern Texas style furniture made the way you want it. 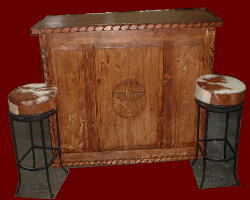 send us your design idea for special quote. 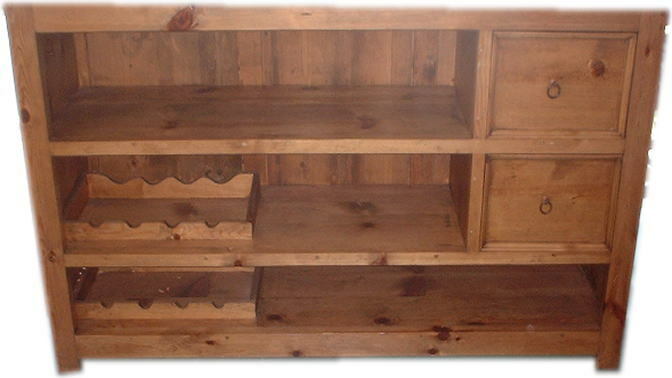 Hides are available in black and white, brown and white, brindle or salt and pepper. 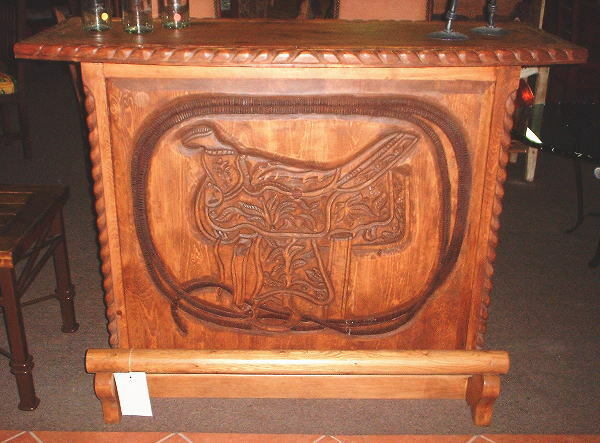 Carvings can be applied to any piece in Texas star, chip, or rope designs. 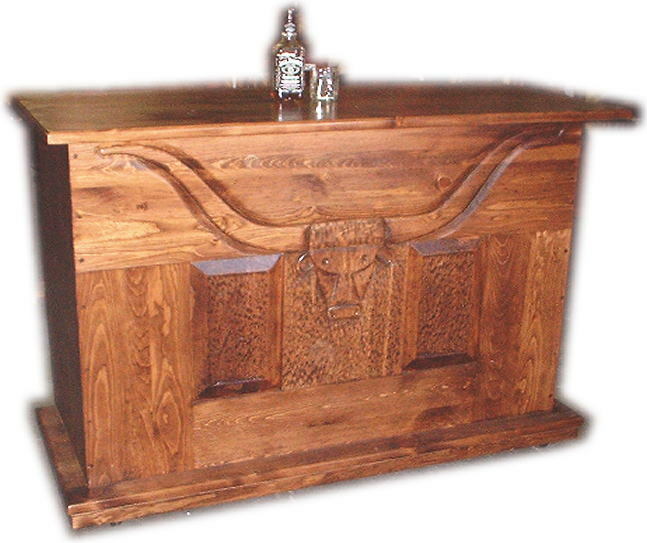 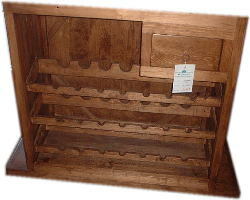 Custom work usually takes apx.4-6 weeks to make and ship. 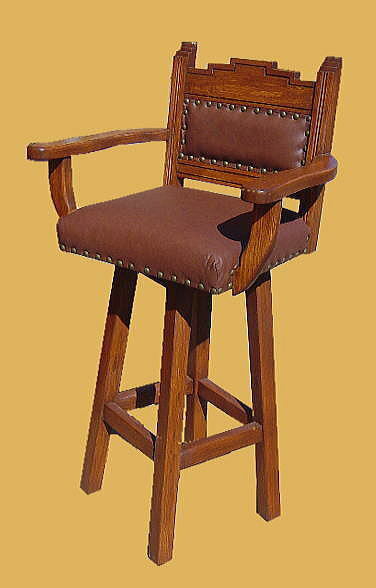 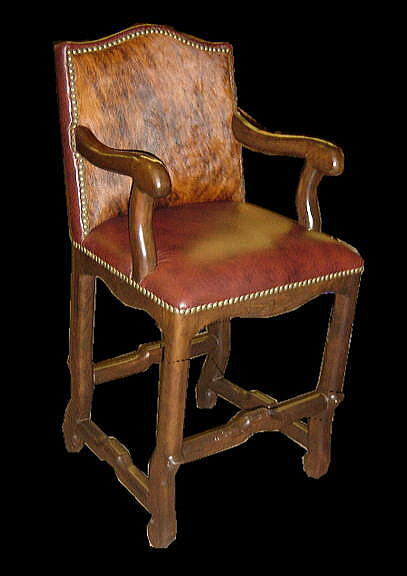 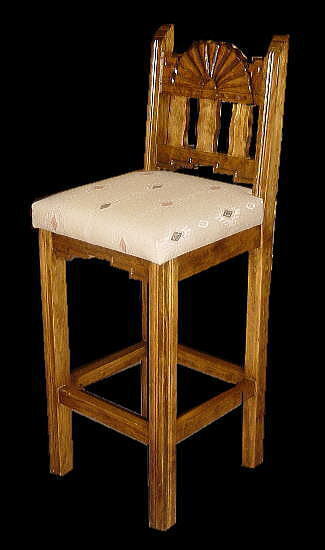 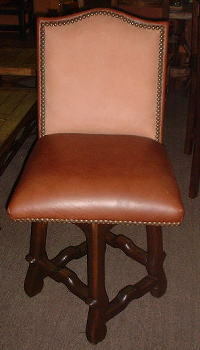 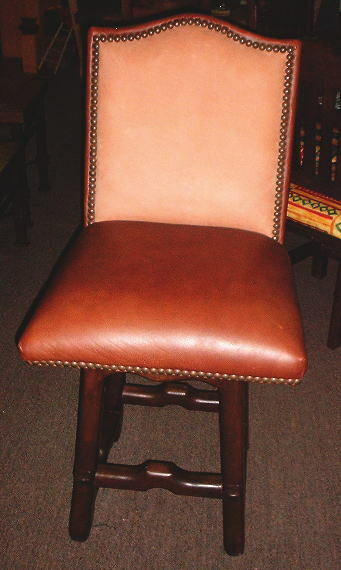 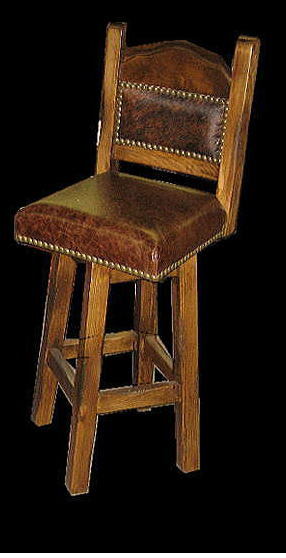 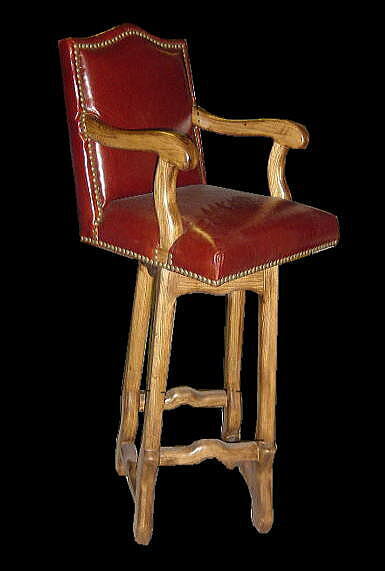 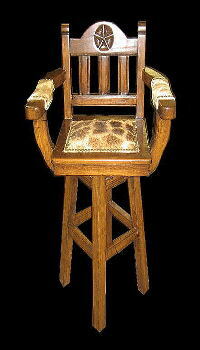 seat height from 24" - 36"
southwestern Bar stools with all leather seat and leather back rest any seat height. 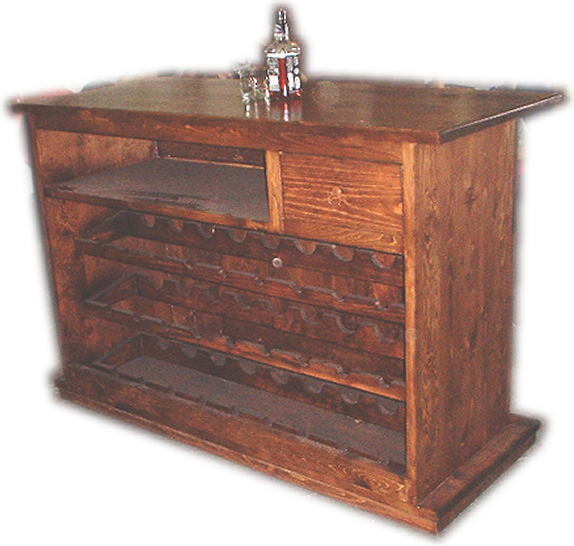 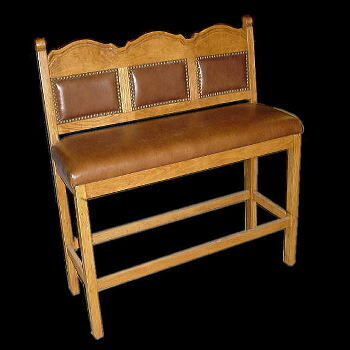 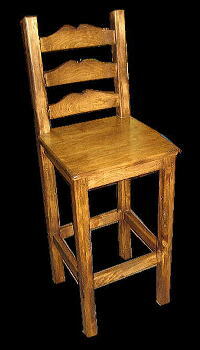 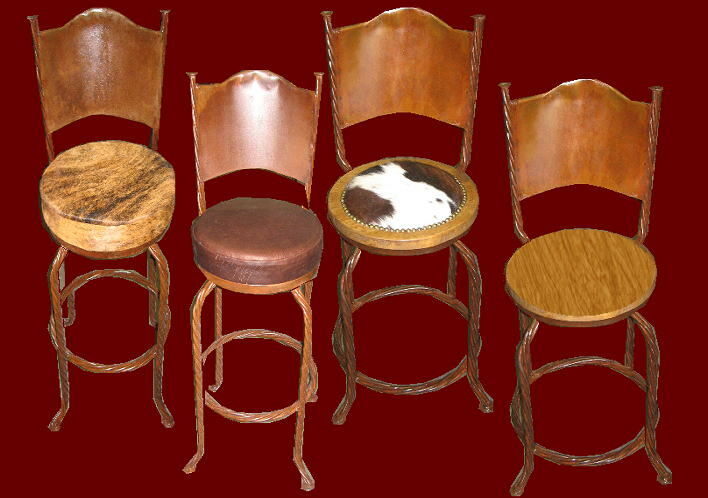 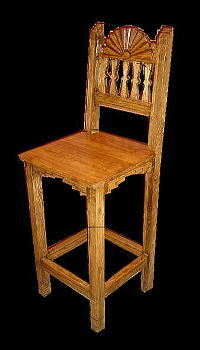 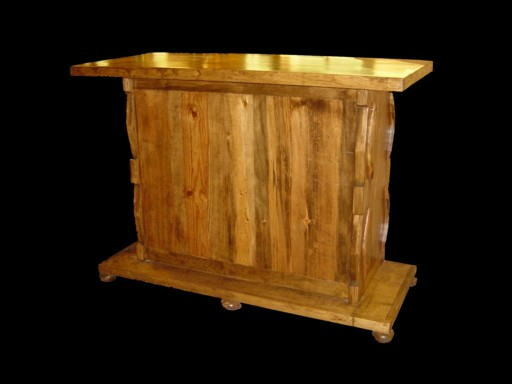 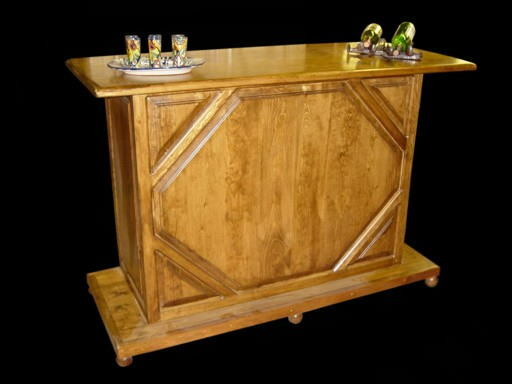 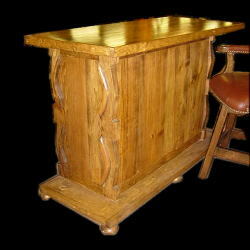 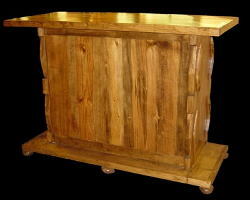 southwest / western Bar Stools benches can be made in any style and size. 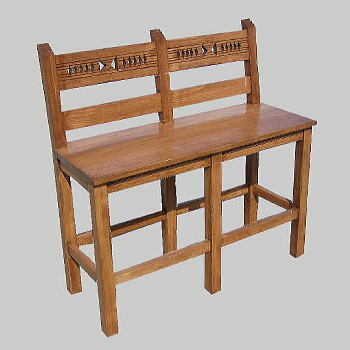 Please call on your order as bench specification vary greatly. 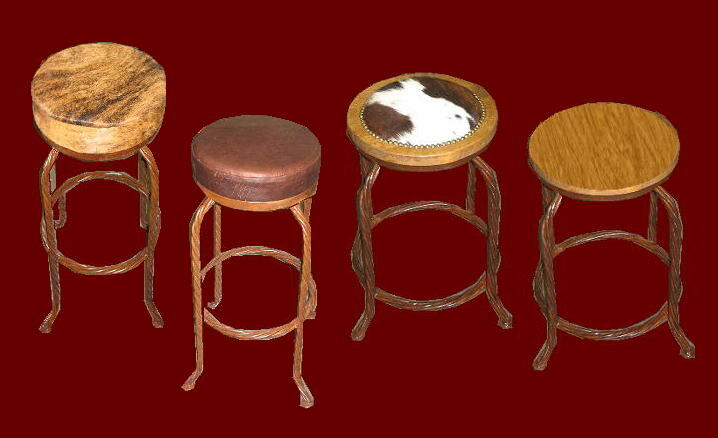 These Beatiful Bar Stools are built to last ! The leather or cowhide can be done to your specific color or pattern. 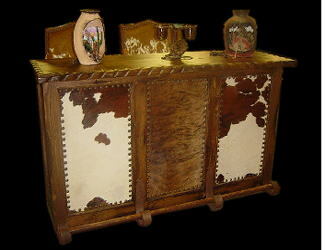 The Cow Hides come in Brindle (shown), Brown & White, and Black & White.